Written By: Tony and Dan Gilroy, inspired by the character created by Robert Ludlum. Starring: Jeremy Renner, Edward Norton, Rachael Weisz, Scott Glenn, and Louis Ozawa Changchien. Hope and change were promised under the Obama administration when they took charge of the presidency from George W. Bush in 2008. And some things have changed—healthcare, Don’t Ask Don’t Tell—but others have stayed the same, especially on the foreign policy side. While President Obama has promoted democracy throughout the world, it is no secret that in terms of his military strategies he has made even bolder and unprincipled choices as commander-in-chief, as especially outlined in a New York Times article earlier this year. Whether or not the filmmakers in Hollywood are aware of this, there is a certain reflection of that spirit in Tony Gilroy’s big Hollywood sequel/spin-off The Bounre Legacy. The original Bounre trilogy with Matt Damon was one of the hallmarks of Post 9/11 action cinema, which took a patriotic CIA-operative and turned him into an enemy of the state without reason, and Gilory, who co-wrote all three films, seeded damning critiques of torture and black ops militarism of the Bush administration. The end of 2007’s The Bourne Ultimatum seemed like the conclusion to this mess both politically and in terms of storytelling, especially with Damon and director Paul Greengrass deciding to leave the series. 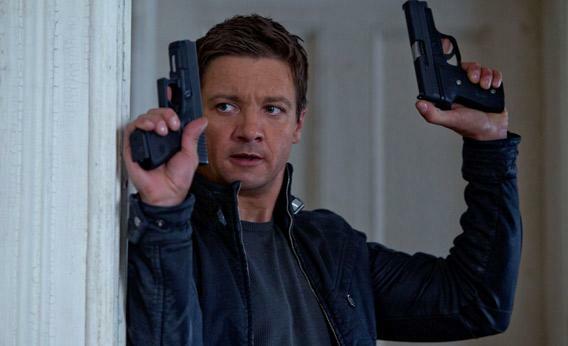 But just as Bush was replaced by Obama without much change, so too can Jason Bourne be replaced by Aaron Cross, here played by Hurt Locker and Avengers star Jeremy Renner. The film begins almost as an alternate cut to The Bourne Ultimatum as the CIA attempts to deal with the events of that film while simultaneously covering their own tracks. As it turns out, Treadstone was not the only secret project of trained assassins, and it’s time to cover up the others. So while Cross is out on a training program in the middle of Alaska (fighting off wolves and doing a much better job than Liam Neeson). 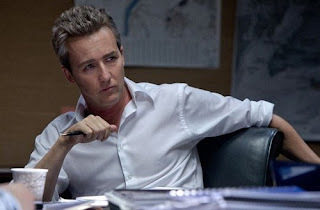 And so as the other killers in the program are “cleared out,” as overseen through the armchair diplomacy of Edward Norton, Cross makes it out, but not without losing his all important “chems,” a drug that makes him intelligent but also addicted. Yes, while I did enjoy most of The Bourne Legacy, the main motivation of its narrative is questionable at best, unintentionally hilarious at best. Cross needs to get more chems, so he globe trots by recruiting a scientist (Rachael Weisz) who is also being hunted to help him get what he needs while avoiding the bad guys. Renner and Weisz have strong chemistry, and it’s nice to see Hollywood give an older actress like her the chance to play actually intelligent eye candy (and get at least one very satisfying action beat). The Bounre Legacy moves along at an interesting pace that is reflective of Gilroy’s interest in process over action (his previous directorial credits include the morally dark thriller Michael Clayton and the ever-twisting Duplicity). Gilroy emphasizes certain beats most action films won’t by taking us in the sort of nitpick of how someone moves from one place to another. One of the best sequences in the film follows Norton and his team trying to piece together Cross’s location, and Gilroy marks every note of this instead letting those characters jump to conclusions (call it the anti-Dark Knight Rises). The action though is not as much fun, and slightly difficult to follow. It’s not as “shaky-cam” as Greengrass, but more notably than that, it simply lacks invention. Gilroy’s best shots are when he indulges in a long take, notably one midway through the film where Cross scales up a wall in one shot. The film’s final chase sequence, a foot turned motorcycle smash-em-up set through the crowded streets of the Philippines, lacks any definitive flair, has a couple of fun twists within it, especially the final “money shot.” Where Gilroy does succeed is creating tense sequences built around dialogue, in which characters try to remain clam under a moment that can explode into violence at any second. The best, which has a Hitchcockian flow to it, comes as two characters attempt to calm Weisz’s scientist down, only before pulling the rug out from under her. That sequence might also be the best examination of the film’s political allegory—calm someone into thinking everything’s okay, only to reveal the horrors of what is actually going on. Drone strikes from small back rooms, quietly covering things up while placing blame elsewhere…these were hallmarks of the previous Bourne films, but Legacy seems to have a certain interest in the idea of the surface versus what happens underneath, something that seems potent to the current administration’s foreign policy. Whether that’s just my own crazy reading of the film or actually intentional is up for debate, but it certainly let me enjoy Bourne Legacy as a nice little B-side to the Damon-helmed trilogy. It never quite reaches the excitement that made those films unique during their time, but as a minor picture it majorly succeeds.